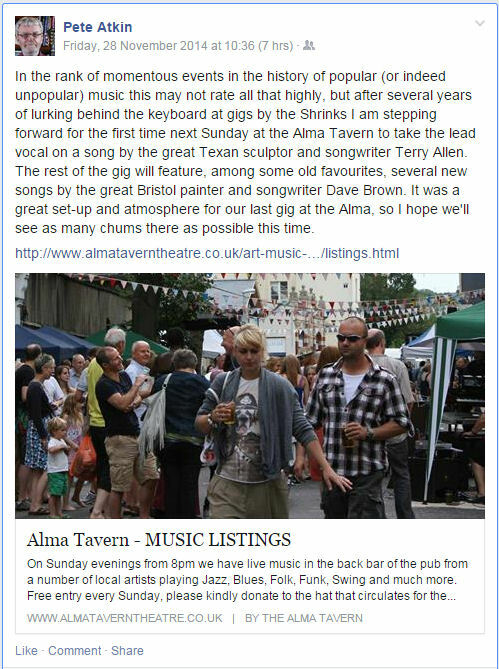 Alma Vale Road, Clifton in Bristol next Sunday, April 20th. This time Pete takes to the microphone for a lead vocal spot. Think I know what song it is too! Should be a standout. Ah, yes, Sylfest, you're probably right! It's the one I sang at Monyash that time I did a set of covers.